I have finished my first project of the new year – a brand new Recipe Index for this website! W-a-a-a-y back in 2007 when I started The Daily Dish, I did all of the HTML coding myself. The site was pretty primitive – at least aesthetically, but one of the best things about it was its Recipe Index. It made searching the site simple and easy, and users loved it. 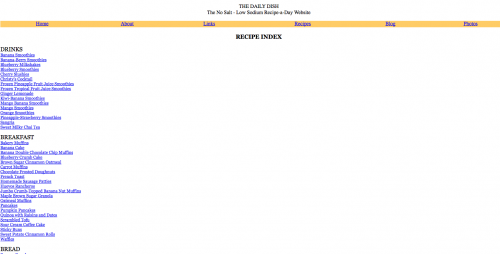 Unfortunately, when I upgraded The Daily Dish to a WordPress theme in 2008, that recipe index was lost. 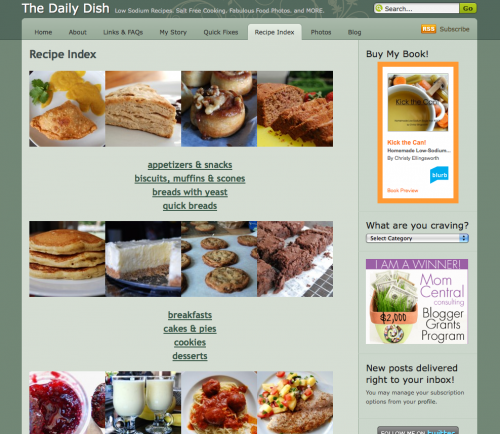 It’s been years in the making, but I have finally reassembled a new & complete index of every single recipe on The Daily Dish! No more hunting, no more pecking, no more typing terms into the search box. Once again users can scan and find recipes with ease. Instead of clicking through page after page of posts, search the Recipe Index to find exactly what you’re looking for. Dishes are divided by category and even subdivided. You can browse the entire recipe collection the same way you would a cookbook. And there are literally hundreds of dishes to choose from, all low-sodium, all delicious! I can hardly wait to start cooking them, all over again!! 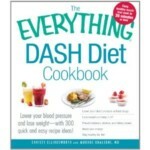 This entry was posted in From the Kitchen and tagged Recipe Index. Bookmark the permalink. 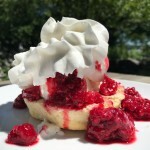 10 Responses to Brand New Recipe Index!!! I am eager to check this out! Super useful! I’m always telling myself to do projects like this on my own food blog and inevitably decide to go out and eat some more instead . . .
I’ve already been using the index like mad & hope you all will be too! Thanks so much, Sandi! 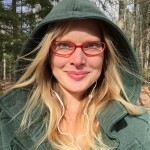 I am loving the index – makes my life soooo much easier! I can tell this was a LOT of work! It’s a wonderful idea, though… very thoughtful of you – and so nice and convenient for your readers! Thanks Inky! It was a lot of work, but worth it!